Swan Origami- Swan belongs to a family of geese and ducks. swan has a meaning of "to sing" or sound. Swan also has meaning and symbolism. St. Agustine wrote " Since love grows within you so beauty grows. For love is the beauty of the soul." 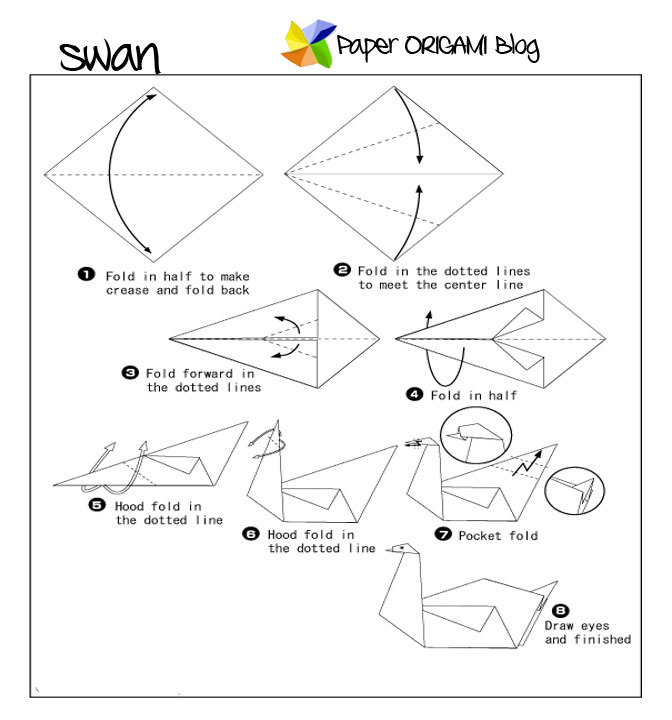 Lets fold Swan in Paper, look at the diagram and follow carefully. It will lead you in making Swan Origami.